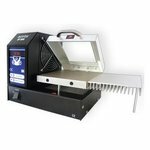 Microprocessor-controlled hot plate soldering system with a built-in cooling fan and smoke absorber. Temperature range: 80°C - 380°C. 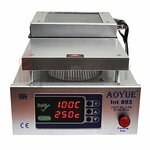 The Aoyue HHL3000 temperature control reflow oven is highly versatile equipment for preheating and reflowing SMT components and PCB. 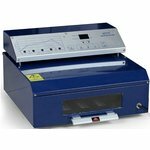 Microprocessor-controlled reflow oven suitable for lead-free soldering with dual plate system for quick heating and cooling.